Fisheries are a critical component of maritime security. 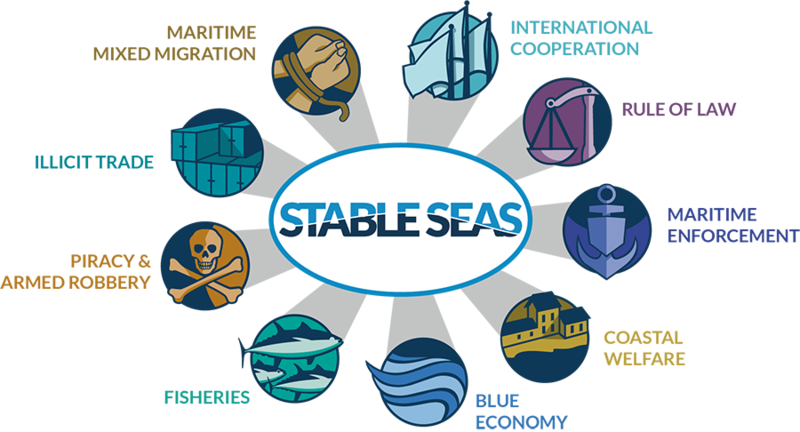 Secure Fisheries joins OEF Research, all programs of One Earth Future, to develop the Stable Seas Maritime Security Index. The Index is a first-of-its-kind effort to measure and map a range of threats to maritime security in 30 countries across sub-Saharan Africa. By bringing diverse challenges like piracy, smuggling, and capacity-building into one comprehensive analysis, we can better understand how these issues intersect to affect maritime security. Our foundational research contributes new data and analysis to this emerging field of study and cooperation. To learn more, visit stableseas.org.